Let’s say you’re riding down US 41 heading into Jonesboro and the truck ahead of you flips a rock at your windshield. You pull over and find a small crack in your windshield. Do you need a windshield replacement or can it be fixed? This type of damage occurs to windshields all the time. People have experienced minor cracks, large cracks, chips, scratches, and dents due to unexpected airborne hazards. Once the damage is done, the first question is whether to fix it or just hope that it doesn’t get any worse. 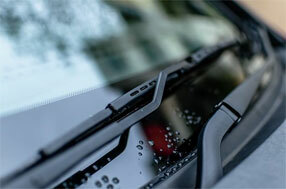 The answer is to call the experts on windshield replacement Jonesboro GA residents and businesses rely on. They will have a certified technician evaluate the damage and make appropriate recommendations. It is up to you whether to follow his or her recommendations on repairing or replacing a cracked windshield. The driver’s view of the road is diminished due to the damage. The law requires that the driver of a vehicle must have the ability to see the car’s surroundings when driving. If a cracked windshield obscures the driver’s vision, it must be replaced. A crack has started to spread beyond the original point of damage. A small crack can start to expand over time. This is because the car’s vibrations and motions can transfer to the glass itself. If a small crack starts to grow, it is likely to keep going until the entire windshield shatters. The windshield is shattered. If there are minute cracks all over the place, the only option is a full windshield replacement. There is no way to repair that amount of damage or to ensure the integrity of the windshield structure. The integrity of the car’s structure is compromised. It might surprise you to know that the windshield plays a major part in supporting your car’s roof. If the windshield sustains substantial damage, it can compromise the support for the roof. Winter weather can actually cause small cracks to become much larger. Moisture can seep into the crevices of the damage. When the colder weather of winter comes, this moisture may freeze and expand. The expansion can cause a minor crack to become a major one. While Jonesboro is not as cold as other parts of the country, it does see freezing temperatures in the winter. If you need a Jonesboro GA auto glass replacement, call Sunnyside Glass North today. We are the specialists in windshield replacement Jonesboro GA residents and businesses trust. We will do the work as quickly as possible using only the highest quality materials.